1. Lumière Brothers’ First Films (Auguste and Louis Lumière, 1895-1897). A collection “actualities” made by the Lumière brothers between 1895 and 1897. While some historians trace the origins of documentary to Edvard Muybridge, others suggest these short films like “Workers Leaving the Lumière Factory” (French title: La Sortie des Ouviers de L’Usine Lumiere a Lyon) and “The Arrival of a Train at the Station” (French title: L’ Arrivée d’un train à la Ciotat) demonstrate the beginnings of documentary cinema. The films consist of scenes from everyday life, providing an early example of documentary filmmaking and the aesthetics of photographic realism that would pervade the form to this day. For the Lumière brothers the new technology of motion pictures afforded them and their colleagues the opportunity to go out into the world and record everyday life. Audiences marveled at the beauty of simple things like seeing leaves moving in the wind. Imagine after a lifetime of seeing the stillness of photographs, paintings, and sculptures to walk into a darkened room and see on the screen images that looked like photographs, but they moved. 2. Nanook of the North (Robert Flaherty, 1922). Considered by many the first ethnographic film, “Nanook of the North” raises all the issues of representation we still deal with today. Through the character of Nanook (his real name was actually Allakariallak), Flaherty documented the “everyday life” of the Inuit Eskimos. We observe Nanook catching a seal and building an igloo, activities that the Inuit had abandoned by the time Flaherty was filming, but performed at Flaherty’s request. Flaherty did not allow Nanook to use any steel instruments or weapons in the film. Nanook’s re-enactments fit Flaherty’s Rousseau-inspired romantic vision of a culture that was rapidly fading. “Nanook of the North” has become a classic documentary, however, upon close analysis it has more of the characteristics of a fiction film, formed by western imagination. The debate over representational issues in documentary film started with Nanook and continues to this day. 3. Man with a Movie Camera (Dziga Vertov, 1929, Russian title: Chelovek s kino-apparatom). Among the best examples of poetic documentary to this day, a camera person travels through post-revolution Russia capturing images of everyday life. The protagonist of this film is the collective Russian people themselves. The film is loosely organized around the cycle of a day with music and editing moving the story along. The film makes explicit the many kinds of cinematic manipulation and serves as an encyclopedia of all of the techniques Vertov and his collaborators had access to including time-lapse, superimposition, cross-fade, etc. The filmmakers make themselves very evident in this film, a self-described experiment in cinematic communication. Vertov’s writings are also quite interesting, see “Kino-Eye: The Writings of Dziga Vertov,” edited and with an introduction by Annette Michelson. 4. Triumph of the Will (Leni Riefenstahl, 1935). A documentary record of the Nazi Party Convention in Nuremberg, Germany. The film stands as one of the most disturbing, yet poetic, propaganda films every made. 5. The City (Ralph Steiner & Willard Van Dyke, 1939). Contrasts industrialized city life with pastoral small-town America. The film was adapted by Lewis Mumford from the story by Pare Lorentz and includes music by Aaron Copland. 6. The Memphis Belle (William Wyler, 1944). The story of the final mission of the “Memphis Belle,” a B-17 Flying Fortress that became the first U.S. heavy bomber during World War II to complete twenty-five missions over Europe and return to the United States in one piece. The film was made by the U.S. Army Air Forces First Motion Picture Unit to boost morale by showing the courage of “the boys who flew those planes.” Despite the hazards of combat, Wyler and his collaborators filmed multiple bomber missions (not all of them aboard the “Memphis Belle”) using 16mm cameras placed in the nose, tail, and other positions around the bomber. The original crew (which was back in the States for a war bond drive) was brought into a Hollywood recording studio to record their own dialog while watching the film, providing a sense of authenticity. In 2001 the United States Library of Congress selected the film for preservation in the National Film Registry. The “Memphis Belle” bomber is now at the National Museum of the United States Air Force at Wright-Patterson Air Force Base, near Dayton, Ohio. In 1990 a narrative feature with the same name was produced directed by Michael Caton-Jones, providing an interesting compare and contrast opportunity. 7. Night and Fog (Alain Resnais, 1955). Resnais revisits the Nazi concentration camps ten years after the end of World War II. The film is made up of Resnais’ own shooting on location with Nazi footage of the camps, newsreels, and variety of other sources including Leni Reifenstahl’s Triumph of the Will. The film sparked controversy upon release. West German officials applied pressure on French officials to censor the film and it was removed from the Cannes festival line-up, yet eventually was screened out of competition. The film met with favorable reception by most critics and it eventually screened at numerous festivals. The film has sparked a number of debates, especially in terms of Resnais’ failing to disclose that a majority of the victims of the death camps were Jewish. 8. Primary (Robert Drew, 1960). Among the first American direct cinema masterpieces and the first intimate behind-the-scenes view of a political campaign. Robert Drew and his colleagues had film crews with both the Kennedy and Humphrey campaigns during the one of the state primaries. 9. Crisis: Behind a Presidential Commitment (Robert Drew, 1963). Multiple camera teams around a crisis makes this one-of-a kind documentary come alive. This was among the early documentaries along with “Primary,” et al.. to make use of new lightweight cameras and sync sound. The film came about about when President Kennedy screened “Primary” and asked Drew what he wanted to do next, to which Drew replied, “to make a film about a President in crisis.” Three years later in the June of 1963, President John Kennedy and his brother Robert were in the midsts of a landmark racial confrontation with Alabama Governor George Wallace over opening the all-white University of Alabama to enrollment by two black students. With never-again-permitted access inside the oval office, we see the President and Attorney General making crucial, time-sensitive, historic decisions. 10. 7-Up Series (Michael Apted, 1964, 1971, 1978, 1985, 1992, 1999, 2007). The 7-Up Series started in 1964 when Granada television interviewed fourteen 7-year-old British children from a variety of social and economic backgrounds. The film was among the first attempts on television to record real people living real lives. Every seven years since, Michael Apted has returned to interview the now-adults about their lives and how they have changed. Titles in the series are: 7-Up, 7 Plus Seven, 21-Up, 28-Up, 35-Up, 42-Up, and 49-Up. 11. Tokyo Olympiad (Kon Ichikawa, 1965). A montage of the 1964 Olympics. A large number of camerapeople captured the event which through editing become cinematic poetry. 12. Bob Dylan: Don’t Look Back (D.A. Pennebaker, 1967). Follows Bob Dylan on his 1965 tour in England. An excellent example of American Direct Cinema offering a glimpse into the private life of Dylan at a time when he is gaining popularity and transforming his style. 13. Monterey Pop (D.A. Pennebaker, 1968). Pure concert film, and the first one of it’s kind, the film that launched the concert film genre and still among the best examples of the genre. The movie is on the DVD The Complete Monterey Pop Festival: Disc 1: Monterey Pop. 14. Salesman (Albert and David Maysles, 1968). This seminal documentary follows four bible salesmen as they travel far from their families across the country selling expensive bibles to housewives who really can’t afford them. One of the finest examples of American cinéma vérité. 15. The Sorrow and the Pity (Marcel Ophüls, 1969), French title: Le Chagrin et la pitié. Ophüls explores the multi-faceted response of the French to occupation during World War II. 16. Land of Silence and Darkness (Werner Herzog, 1971). Who else but Herzog could make a film about people who are deaf and blind through which he explores philosophical issues of communication and knowledge that have engaged philosophers for centuries? 18. Harlan County U.S.A. (Barbara Kopple, 1976). Excellent documentary of the 1973 coal miners’ strike against the Eastover Mining Company in Kentucky as the workers try to join the United Mine Workers Association. 19. Gates of Heaven (Errol Morris, 1980). A documentary about the pet cemetery business told through interviews that launched Morris’ career. Among the cast of characters is Floyd “Mac” McClure whose pet cemetery fails and he must dug up and transport hundreds of animals to another pet cemetery. A documentary classic dealing with mortality for which Werner Herzog ate his shoe. 20. The Atomic Cafe (Jayne Loader, Kevin Rafferty, & Pierce Rafferty, 88 min., 1982). Documents a defining period in history and presents a chilling and humorous look at cold-war era paranoia in the United States through newsreel footage, government archives, military training films, etc. 21. Burden of Dreams (Les Blank, 1982). One of the best making-of/behind-the-scenes documentaries ever made. Essential viewing. 23. The Times of Harvey Milk (Rob Epstein, 1984). Not only a compelling story, but an example of excellent structuring and documentary editing. Recently made into a feature film, offering another interesting opportunity for comparing and contrasting the narrative and documentary versions of this story. 24. This is Spinal Tap (Rob Reiner, 1984). A classic, among the best examples of the mocumentary genre. 25. Shoah (Claude Lanzmann, 1985). Survivors, witnesses, and former Nazis talk about the events of the Holocaust. Lanzmann does not use reenactments nor historical footage, instead, uses only interviews and visits to the various places his interviewees discuss. Not only is this compelling storytelling, but demonstrates the awesome power of good interviews (along with The Last Days). 26. Seventeen (Joel DeMott and Jeff Kreines, 1985). A fine example of American direct cinema, and while not as well known as the classics (e.g. Salesmen), it deserves a place among them. The project was originally designed to be part of a series (conceived by Peter Davis) as one of six television documentaries under the collective title of ‘”Middletown.” Five of the films were broadcast by PBS in 1982, but Seventeen was excluded, probably due to its raw, honest, observational approach looking at teenage life in America including strong language, drinking, drugs, a romance between a seventeen year old white girl and a young black man, and no artificial plot or crisis structure. And yet these qualities—which led PBS to not show the film—are exactly what makes Seventeen a unique and honest portrayal. 29. For All Mankind (Al Reinert, 1989). Reinert documents the Apollo space program with a focus on the human aspects of the missions. Rather than use voice-over narration, the film presents us with the voices of the astronauts and mission control personnel. A score by Brian Eno sets the emotional tone. 30. Tongues Untied (Marlon Riggs, 1989). Poetically celebrates the difficult life of gay black men who must deal with double discrimination in terms of race and homophobia. The film is available on the POV 20th anniversary collection DVD along with other documentary classics like Silverlake Life: The View from Here, Maya Lin: A Strong Clear Vision, Regret to Inform, and many others. 31. Notebook on Cities and Clothes (Wim Wenders), 1989. A cinematic essay on film vs. video by way of fashion design. Wenders was invited by the Georges Pompidou Centre to make a film in the context of fashion and the result is this unusual documentary made from a mix of 16mm and video materials exploring the work of Japanese fashion designer Yohji Yamamoto. Wenders follows the designer from Tokyo to Paris as the designer prepares for Yamamoto’s latest showing. Through dialog with the designer and his own musings, Wenders offers a mélange of reflections on the ephemeral nature of fashion and the essential differences between shooting on film vs. video. 32. Roger & Me (Michael Moore, 1989). I have serious issues with Moore’s documentary ethics. Moore pioneers a new form of rhetorical documentary that places the demands of entertainment and the director’s thesis over discourse and facts, and while I would not argue that it’s not a documentary, it’s not in he same league of documentary as Barbara Kopple’s American Dream. 33. American Dream (Barbara Kopple, 1990). A good example of a respectful filmmaker-subject relationship, the antithesis of Moore’s style as exemplified in Roger & Me. 34. Hearts of Darkness: A Filmmaker’s Apocalypse (Fax Bahr, George Hickenlooper, and Eleanor Coppola, 1991). A film about the making of Apocalypse Now and among the best “making of” documentaries. 35. Madonna: Truth or Dare (Alek Keshishian and Mark Aldo Miceli, 1991). An entertaining documentary about Madonna’s persona behind the scenes shot during her “Blond Ambition” tour. A great deal of 16mm black and white film flowed as Madonna performed for the camera, including a famous scene with a coke bottle. 36. In the Shadow of the Stars (Allie Light and Irving Saraf, 1991). An affectionate look at the path to stardom inside the world of opera. In a refreshing twist, the filmmakers focus on the singers who stand “in the shadows” behind the divas and sheds light on the lure of celebrity and offers a privileged look into the world of opera. The opening sequence is beautiful. 37. Manufacturing Consent: Noam Chomsky and the Media (Mark Achbar and Peter Wintonick, 1992). The film presents Noam Chomsky’s ideas through interviews, stock footage and illustrations in a manner suitable to a new generation that does not read and prefers to watch. 38. Man Bites Dog (Remy Belvaux & Benoit Poelvoorde, 1992, French title: C’est arrivé près de chez vous). A mockumentary that takes a satirical look at how media promotes violence as a documentary crew follows a serial killer on his murderous activities. 39. Visions of Light (Arnold Glassman, Todd McCarthy, and Stuart Samuels, 1992). Interviews with cinematographers are inter-cut with beautiful clips from their films as they discuss the art and craft of cinematography. The interviews were shot in High Definition video in an attempt to demonstrate that high definition video was ready to be taken seriously as a tool for cinematography. It would take another ten years before that became true. 40. Silverlake Life: The View from Here (Tom Joslin & Peter Friedman, 1993). A personal diary that addresses the issue of living with AIDS and the acceptance of gay couples by their family, among the new crop of films shot on Hi8 (at the time) that helped open up distribution to documentaries shot on prosumer video formats. 41. The War Room (Chris Hegedus & D.A. Pennebaker, 1993). An behind-the-scenes look at Clinton campaign headquarters where George Stephanopoulous and James Carville perfected the art making the news cycle work for them. 42. Hoop Dreams (Steve James, 1994). This well crafted film shot over several years follows two boys from inner-city Chicago with dreams of becoming basketball stars. We follow them through high school and some of their college years as they win scholarships and face obstacles along the way. Among the first wave of documentaries shot on miniDV that achieved theatrical release, once and for all removing the stigma of shooting on video rather than film. 43. Crumb (Terry Zwigoff, 1994). A wonderfully done and intimate portrait of Robert Crumb, the comic book artist known for his biting social criticism through comics like “Mr. Natural” and “Fritz the Cat.” Over a six year period, Crumb allowed Zwigoff access to his family, friends, ex-wife, and former lovers. 44. Fear of a Black Hat (Rusty Cundieff, 1994). A mockumentary on the evolution and state of American hip hop music in the spirit of This is Spinal Tap. Rusty Cundieff, the director and writer also was the lead actor (Ice Cold). 45. Maya Lin: A Strong Clear Vision (Freida Lee Mock, 1995). About the life of American artist Maya Lin, whose best-known work is the Vietnam Veterans Memorial in Washington, D.C.
46. When We Were Kings (Leon Gast, 1996). A documentary about the “Rumble in the Jungle” heavyweight match between Muhammad Ali and George Foreman held in what was then called Zaire in 1974, capturing the run-up to the fight, the controversy surrounding the event. A wonderfully crafted film. 47. Little Dieter Needs to Fly (Werner Herzog, 1997). This film tells the story of Dieter Dengler, Vietnam veteran who grew up in a Germany. Dengler recalls an early memory of American fighter-bombers destroying his village in which he saw one of the pilots and from that day forward he had to be a pilot. He eventually became a U.S. Navy pilot and while flying in Vietnam he was forced to make a crash landing in Laos. He was captured and became a prisoner of war. Eventually Dengler escaped. For the film Dengler returns to Laos and Thailand with Herzog in order to recreate his experiences. A character based documentary done in a manner only Herzog could make. But wait, there’s more. Herzog also made a fiction film based on the story titled Rescue Dawn, providing an opportunity to reflect on the differences between documentary and narrative filmmaking (especially since Herzog often makes documentaries with narrative elements as well as narratives with documentary elements). 48. Fast, Cheap, and Out of Control (Errol Morris, 1997). Presents the profiles of four men with intense passion for their chosen careers: a robotics scientist, a mole-rat expert, a lion tamer, and a topiary artist. As he did in “First Person” and “The Fog of War,” Morris used the “interrortron” to film the interviews in the film. 49. Four Little Girls (Spike Lee, 1997). On September 15, 1963, a bomb destroyed a black church in Birmingham, Alabama, killing four young girls. The crime became a defining moment in the American civil-rights movement. This film tells the story of the bombing through testimonials from members of the victims’ families along with interviews with others, including George Wallace, the former Alabama Governor. 50. The Last Days (James Moll, 1998). There have been many documentaries made about the Holocaust, however, The Last Days is among the best (along with Shoah). Rather than telling the story with archival images and narration (which provides viewers a safe intellectual distance), this film presents personal stories that puts in sharp relief the evil of the Holocaust. From a documentary maker’s perspective, an example of the power of well crafted interviews is evident. 51. Buena Vista Social Club (Wim Wenders, 1999). A poetic documentary wherein guitarist Ry Cooder gathers together twelve legendary musicians and resurrects the music of pre-revolutionary Cuba for a series of recording sessions and performances. A variety of performances and observational footage are inter-cut with interviews of the musicians reminiscing in a backdrop of a decaying but colorful Havana. 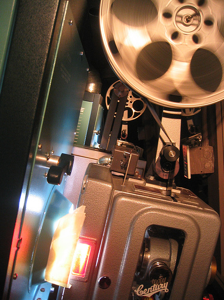 The lush and colorful images were captured using a mix of miniDV and Digital Betacam in the PAL format, helping to de-stigmatize the use of video for films destined for theatrical release. 52. American Movie (Chris Smith, 1999). Smith documents a filmmaker’s attempt to make an independently produced horror film, capturing wonderfully the painful truth about independent filmmaking. 53. This Is What Democracy Looks Like (Jill Friedberg & Rick Rowley, 2000). Edited from footage shot by over a hundred media activists, this film presents a political and emotional account the 1999 WTO protests in Seattle. An important example of the power of collaborative filmmaking. Presents a unique point of view made possible by weaving together footage from a hundred cameras. A glimpse of the future of documentary film made possible by collaboration on a grand scale. 54. In the Mirror of Maya Deren (Martina Kudlácek, 2002). A beautifully crafted portrait that weaves together fascinating interviews with Deren’s poetic images. Maya Deren, along with Stan Brakhage, is among the most important filmmakers of the American avant-garde. Kudlácek demonstrates Deren’s contributions to cinematography, editing, and how filmmakers discuss their work. 55. Bowling for Columbine (Michael Moore, 2002). This film, like “Roger & Me,” raises questions about documentary ethics. The film is full of deceptive editing that twists and stretches the truth, yet through his storytelling skills, Moore, like a good magician, hides the mechanisms behind the tricks, resulting in a compelling argument that appeals to the emotions, but falls apart during the fact checking process. Moore unwittingly offers right-wing fanatics fodder for discrediting leftist arguments. 57. The Wild Parrots of Telegraph Hill (Judy Irving, 2003). Delightful story of a modern-day St Francis and his relationship with a flock of wild parrots in San Francisco. Beautifully shot on 16mm film, it’s not only a great story, but a feast for the eyes, the soft image with rich colors does justice to the story. 58. My Architect: A Son’s Journey (Nathaniel Kahn, 2003). Nathaniel Kahn examines in a cool, understated, and respectful manner the life and work of his father, architect Louis Kahn, whose work included innovative buildings including the Yale University Art Gallery, Phillips Exeter Academy Library in Exeter, New Hampshire, Kimbell Art Museum in Fort Worth, Texas, Salk Institute in La Jolla, California, and the Parliament and Capitol Buildings in Dhaka, Bangladesh. Ironically, the senior Kahn left the world broke and mostly in obscurity despite being among the most innovative architects of his time weaving a distinctive personal vision and the international style. 59. Earthlings (Shaun Monson, 2003). A provocative examination of our dependence on and relationship to animals. The film examines how the food, medical, and entertainment industries use animals and how they are linked to the global economy. The film challenges our overall lack of respect for animals with searing facts and harrowing images. Joaquin Phoenix narrates. 60. Super Size Me (Morgan Spurlock, 2004). An excellent example of a personal documentary in which Spurlock documents thirty days during which he eats only fast food from McDonald’s. This diet has a drastic effect on his health. The film offers an entertaining and cleverly constructed reflection on the fast food industry and bad nutrition. Spurlock gained 24 pounds during the thirty days which in turn took fourteen months for him to lose. A model of activist and personal filmmaking coming together. 61. Born into Brothels (Zana Briski and Ross Kauffman, 2004). A portrait of children of prostitutes living in Calcutta’s red-light district, a slickly produced documentary with beautiful images. 62. Control Room (Jehane Noujaim, 2004) A fascinating behind-the-scenes look at the media’s vital role in manufacturing history. In the early days of the war in Iraq, Americans could see on their televisions twenty-four hours coverage of the war and observe a “U.S. victory.” At the same time, a different story was being played out on television sets throughout the Arab world as Al-Jazeera broadcast images of Iraqi civilian casualties and American POWs (both taboo on American media, so much for the so-called liberal media). 63. Grizzly Man (Wener Herzog, 2005). Herzog explores what he calls “the ecstasy of truth” in this documentary that reflects on the life and death of Timothy Treadwell, a serious bear enthusiast. Combines interviews with people who knew Treadwell and Treadwell’s own footage of his interactions with grizzly bears before he and his girlfriend were killed (and partially eaten) by a bear in 2003. 64. Who Killed the Electric Car? (Christopher Paine, 2006). A well structured, informative, and entertaining documentary in the form of a whodunnit. Recounts the story of the EV-1, an electric car that General Motors introduced in California and then suddenly pulled off the road, crushing most of them, much to the dismay of drivers who loved the car. The California Air Resources Board passed the Zero Emission Vehicle mandate in 1990, providing an incentive for GM to introduce the EV-1 into the California automobile market. The mandate was eventually reversed after suits were bought by automobile manufacturers and the oil industry who feared losing out on profit from the oil-fueled transportation monopoly. The film also presents a critical look at hydrogen vehicles and a positive discussion of plug-in hybrids. 67. Intimidad (David Redmon & Ashley Sabin, 2008). A beautiful film that weaves together a mix of home movie, cinéma vérité, and informal interview footage to present a gently observed portrait of Cecy and Camilo Ramirez and their daughter Loida, a hard-working young family living in Reynosa, Mexico. Read my interview with the filmmakers for more about the film and how it was made. That’s it for now. There are many important classics missing from this list, but in many cases (e.g. “Chronicle of a Summer” and “Eyes on the Prize” to name just two) films missing from this list are not available through Netflix. I’ll be expanding this list over time and will eventually post a revised list of one hundred excellent documentaries available either through Netflix or online. Your comments are most welcome. Thank you so much for this wonderful listing. I will forward this to a number of my friends who are always asking me this same question. I look forward to reading your take on some of my favorite movies here. Thanks David. Thanks for the great list! I’ve seen a bunch of these, but you’ve given me some ideas for new films to check out. Great list. I would have put Vernon, Florida over Gates of Heaven, but that’s just me. And I still find your site just all kinds of awesome. You’re doing what I had hoped to do but never will quite get there. Thanks David, I look forward to watching a lot of these, and appreciate your brief reviews. Of those I’ve watched I really agree with you: the UP series, Burden of Dreams, the War Room… all the kinds of films that linger forever in the mind. I’ll look forward to any additions! The great Joel DeMott documentary “Seventeen” is not, in fact, available at Netflix. The film was never released on DVD, unfortunately. Great list. So good to see so many “old friends” on here. Good observations, as well. I think I have my “must see viewing list” for the coming year. * For those students interested in learning entry-level feature-film production skills, a link to our Facebook site. I was looking for “Who Killed the Electric Car?” on there, glad it made the list! What about food inc.? I found that very informative. I agree that Food, Inc. is an excellent documentary and should be on such a list, however, I made the list before seeing Food, Inc.
“I think were alone now” was one of my all time favorites. Trust me, it’s great. It’s also on netflix and available on instant cue: let me kno what u think! TK Koder, I probably should expand the list to 100 documentaries. Any list is going to leave something out in favor of something else. There are lots of favorites that I had to heave out because they were not available on Netflix at the time. And others simply due to a lack of time and space. I do plan to revisit this list in the future and you mentioned some very worthy documentaries.